Activity Report Vol. 72: Ambassadors Assemble to Promote Otaku Coin! A powerful group of allies has been assembled! Ambassadors in Japan and abroad have been gathered together under the banner of promoting Otaku Coin and spreading news about it far and wide. With ambassadors’ activities starting in earnest in March, Otaku Coin enters a new phase! Hello! I’m Ashley. By day, I am a drug label reviewer, by night, I am a geek who loves anime, manga and cosplay. I am aways exploring all aspects of Otaku culture and have recently taken up figure collecting. I am so grateful to be a part of this new endeavor and hope to spread the word of Otaku Coin. Hi my name is Mia Schiavo and I’m from Manchester, England! I’m currently studying at university to be a veterinary nurse. I have recently got into anime within the past year. Some of my favourite shows include: Sora no Method, Nanatsu no Taizai and Little Busters. Some of my hobbies include playing video games, watching anime and looking after my dog Doris. I also enjoy looking for and collecting anime merchandise. MOVIEW operates a website for movies, anime, and tokusatsu. Our Twitter account is https://twitter.com/moviewjp. Three articles regarding Otaku Coin have been published on http://ascii.jp/. Hello! Nice to meet you. I’m kurocraft7522. I make a living managing websites and doing writing work while watching and spreading anime and VTubers as a hobby. 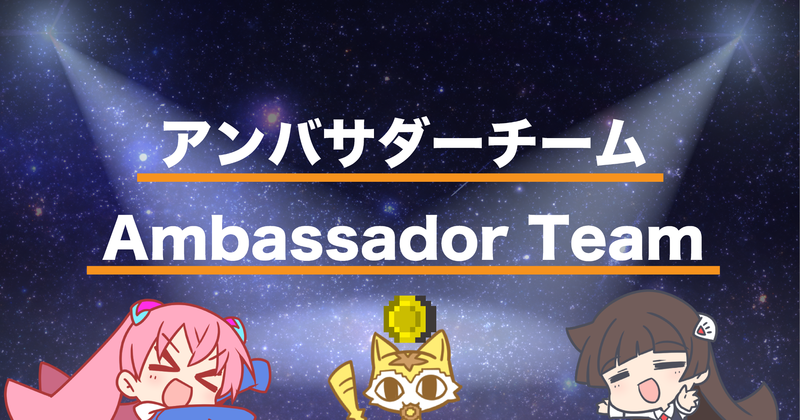 My favorite things are anime, video games, light novels, VTubers, and entertainment content, so I’m extremely pleased to be able to take part in being an ambassador. I want to broaden the appeal of Otaku Coin through spreading it even a little to the entertainment industry. Thank you for your support. Many thanks. I’m Hidaka. I upload illustrations on Pixiv and Twitter, as well as distribute illustration books at Comiket! I enjoy content both from the point of view of making it and enjoying it!! I think that together with the development of Otaku Coin I myself can grow too. Let’s enjoy it together! Thanks! Nice to meet you! I’m manga artist Higashimachi. My job is drawing business manga for the Manga Factory at Fines. I have an award-winning history with shonen magazines, and besides my work I am preparing for a serialization. Please follow me. Thanks for your support. We will be bringing Otaku Coin to the world with everyone’s help over the next two months!